The ad industry must understand that creativity thrives on diversity and people from ethnic minorities should tell themselves they are part of the solution, Sir John Hegarty has insisted. The Bartle Bogle Hegarty co-founder was answering questions from four young people picked by The Ideas Foundation to appear with him at a session at Advertising Week Europe yesterday. The session was moderated by the foundation’s chairman Jonathan Akwue, who is also managing director of DigitasLBi. The foundation, which Hegarty enthusiastically endorsed, exists to boost diversity in the creative industries and help creatively-gifted but disadvantaged young people to gain the skills they need to find jobs. 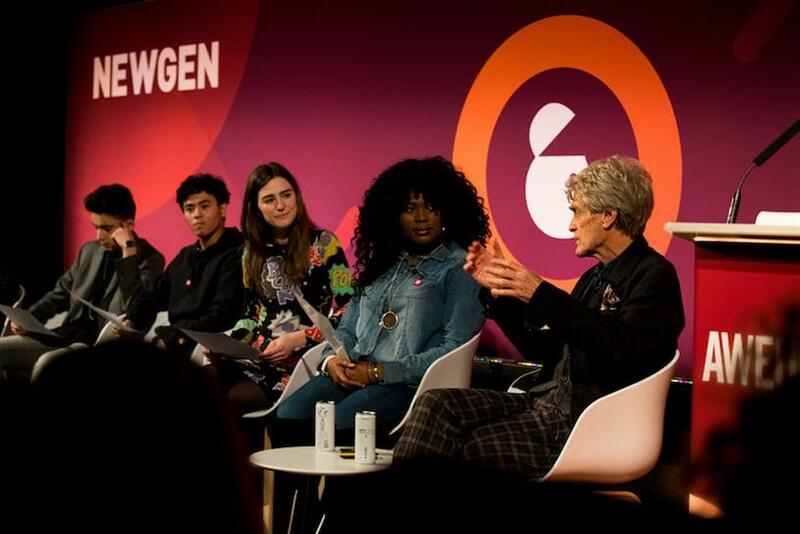 Hegarty told one of his questioners, who asked how an industry that has struggled to embrace diversity can make young people feel that creative careers are within their reach, that "you’ve got to say to yourself that ‘I am part of the solution’". "Diversity is incredibly important not just for our industry, but for the process of creativity," he said. "Creativity absolutely thrives on diversity. The more influences that come into you, the more incredible your work is going to be. "Wherever you come from, whatever you’re doing, wherever you are in your life, you’ve just got to keep saying that to yourself. "If you come from – you know, people talk about ethnic minorities, I loathe that phrase, I talk about ethnic essentials. It’s essential for creativity to have ethnic diversity. What you’ve got to say to yourself is ‘I am part of the solution’. "And we’ve all got to understand that as an industry diversity is one of our great weapons, and we must use it, and employ it, and engage with it, and get everybody involved in it. It’s absolutely crucial." Agency leaders should engage with The Ideas Foundation if they want to increase diversity, Hegarty added in response to another question. "I think [I’d get chief executives] to understand that if they’re trying to run a creative organisation that diversity is crucial to that future. And to get them to understand that it’s an exciting way to run a company. It’s just great. It’s why I don’t like Brexit – we’re cutting ourselves off." The panel also asked him what he did to get inspired and what the next big technology trend in the ad industry would be. Answering the former question, Hegarty advised the panel to take off their headphones when they’re walking around and to read stuff that other creative people don’t read. "Creative people are communicators. They absorb all the time," he said. But he pooh-poohed interest in technological trends, saying he didn't see the need to worry about them. "Worry about having great ideas. If you become obsessed with the technology the technology could well go and then you’ve become obsessed with the wrong thing. "I always say get as close as you possibly can to having the ideas if not having the ideas, because that is the one thing that is not going to go away. I’ve seen lots of crafts disappear in our industry."